Winning is, undoubtedly, the best feeling in any sport. But when it comes to Formula 1, a contest made ethereal by speed and uncanny by the unpredictabilities that pan out given track temperatures, tyre wear, and inclement weather, winning serves a levitation of a sort. Having said that, there may not be other sports that could challenge F1, what's called the pinnacle of motor-racing, given the physical risks involved. But having said that, not every time does a driver win purely by virtue of sheer effort- isn't it? In that regard, Formula 1 also follows a simple rule of life. One person's loss is another person's gain. The same can be said for drivers. And this year too, there wasn't a great deal of surprise given how at the back of few drivers' costly errors, the others either benefitted directly or went on to make solid gains in races. The 2018 World Champion Lewis Hamilton is clearly among the best drivers of all time. But where the current grid stands, he is also among the fastest. 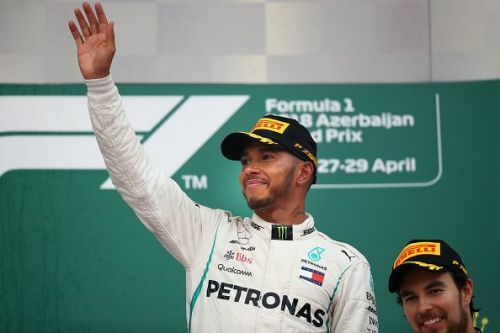 With such a terrific record amplified by 71 wins, the second-most following Michael Schumacher's grand tally of 91, it won't be incorrect to suggest that Hamilton is ruling the contemporary structure of the sport by an iron fist. He seems unstoppable to most and if one needed a proof, then probably hanging out with Ferrari's Sebastian Vettel would provide an example. In so doing, there were a few races where Hamilton did get lucky and therefore, at the back of fortune went on to win a race. One such example was witnessed at the 2018 Azerbaijan Grand Prix. 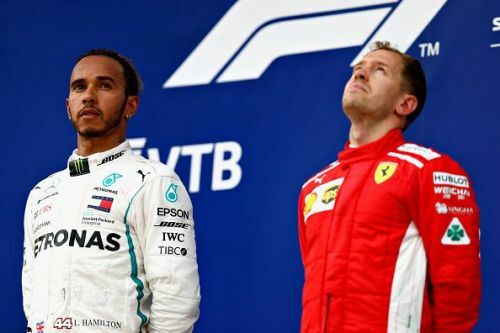 At the restart of the race, toward the closing stages of the contest, Mercedes' Valtteri Bottas led the contest, followed by the two championship contenders, Ferrari's Vettel and Hamilton, who were being traced by the other Ferrari of Kimi Raikkonen. Having said that, as the safety car ran into its out-lap, Vettel, visibly trying to overtake the Mercedes, locked a front wheel as the lot in the front approached the sharp left-hander. As a result, Vettel would run wide seeing the two Mercedes run at the front. Resulting from this skirmish, even Raikkonen gained a place. So far, so good, Hamilton still had his task cut out, with his teammate Bottas having the tail of his Mercedes just in front of his nose. That is precisely when it would all change. Bottas would run over the debris lying on the track emanating from a previous collision. As a result of sustaining a puncture, he would retire while his teammate Hamilton would inherit the race. In the end, even his team made a hush confession on the radio as the five-time world champion crossed the line, "We had lady luck on our side today, Lewis," said Peter Bonnington, Hamilton's race engineer.